One of our most anticipated events each year! Join us as Mayor Bob Margolis updates us on the State of the Village, recent projects and what is on the horizon for Wellington! SPECIAL GUESTS WILL BE USPA National Youth Tournament Series WINNERS (Zone 3) Wellington Team – Second Year Consecutive Champions! Join Us in Celebrating our very own Wellington Team of Champions! Bob Margolis was elected as Mayor of the Village of Wellington in March, 2012. 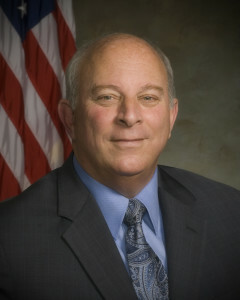 He was first appointed to the Village Council in April of 2003, and was then elected to a four-year term in March, 2004. Prior to that initial appointment, he had proven his community spirit many times over by a long list of community endeavours and volunteer efforts. Mr. Margolis is a husband and father and knows his community well. He is a long-term Wellington resident who is very much aware of the needs of the community. He is well-respected in the community and has volunteered endless hours serving on Village boards and committees. Mr. Margolis served on the Parks & Recreation Advisory Board as Chairman from 1998 to 2000. He was reappointed in 2000 for another two-year term and was then reappointed in 2002. Mr. Margolis resigned from the Board to serve on the Village Council. Mr. Margolis also served on the Blue Ribbon Task Force in 1999, whose purpose was to determine future parks and recreation services. Mr. Margolis has been actively involved in recreational programs for many years. He has been involved in travel basketball for over 10 years and served as president. He was also president of the Wellington High School Booster Club for two years. Mr. Margolis was instrumental in organizing and making the Village’s first dog park a reality. Mr. Margolis was a seasoned professional in the health care industry and prior to his retirement, was with Procter & Gamble for 25 years. The Village has greatly benefited from his experience with and exposure to all facets of the healthcare industry. He also served a vital role in negotiating with consultants for the Village employee’s health and benefits package. His many years of experience in the healthcare arena proved to be invaluable during the negotiation process. Mr. Margolis previously served on Palm Beach County Sports Commission and currently serves on the Florida League of Mayors and the Florida League of Cities Pension Trust.